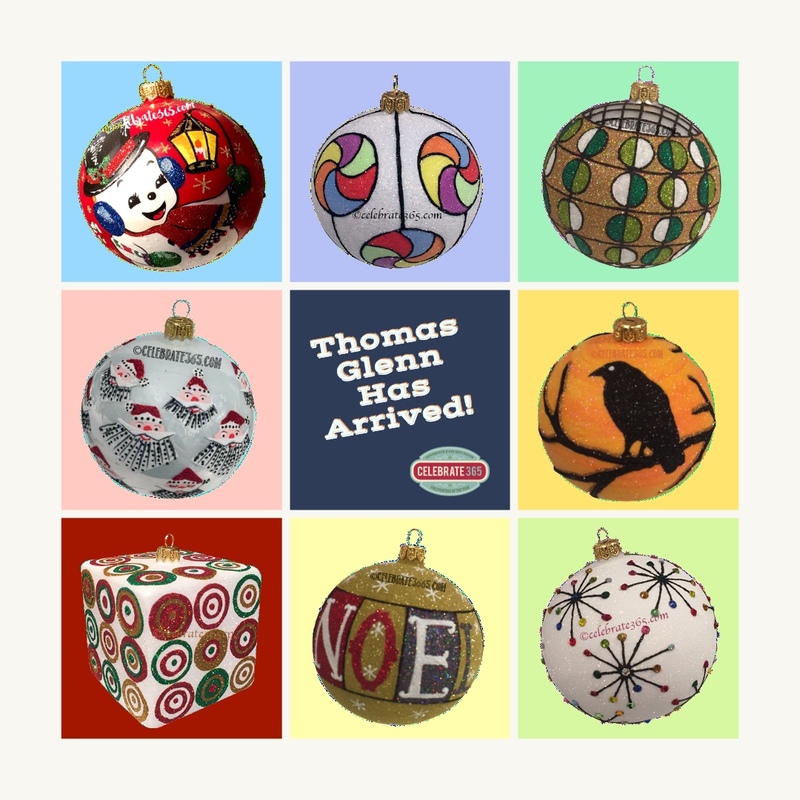 Thomas Glenn Holidays … not your “grandmother’s” Christmas ornaments! Sparky Santa, one of this season’s top sellers, was inspired by a retro Christmas card. Additional inventory just arrived. Don’t be disappointed … order yours now! This pearlized ball portrays retro Santa faces with assorted hat styles … can you pick them out? Don’t you love the angular retro-style beards and mustaches? And here is yet another design that begs an ornamotor to provide a 360 degree view. Author Connie PorcherPosted on November 17, 2018 Categories Celebrate365, christmas, Collector Tips, design, glass ornament, ornament, Thomas GlennTags christmas, Poland, Retro, Santa, Thomas GlennLeave a comment on These Are NOT Your Grandmother’s Christmas Ornaments! With the leaves falling and dancing mischievously in the wind, there’s no doubt that autumn is in the air. We know that you’ll fall in love with our newest collections including the top trends of the season. Log-in today anytime. We have many one-of-a-kind creations, too! Hurry in before they are gone! 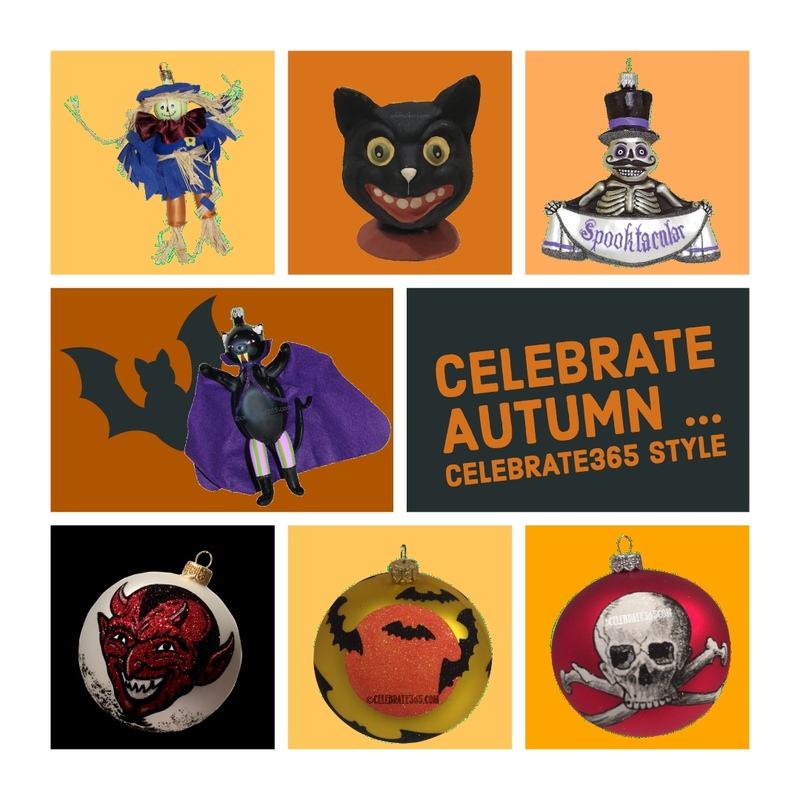 Author Connie PorcherPosted on October 1, 2018 Categories Celebrate365, De Carlini, glass ornament, Halloween, ornament, Thomas Glenn OrnamentsLeave a comment on Autumn is Calling! 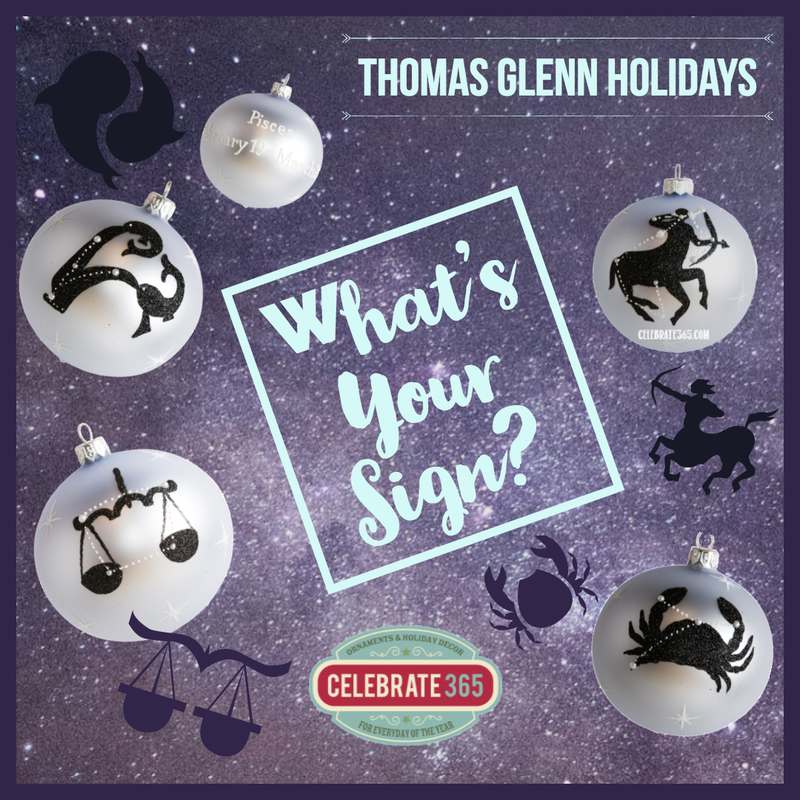 Celebrate365.com is pleased to announce the arrival of Thomas Glenn Holidays’ 2018 order. Our website is not completely updated to reflect the new arrivals … so if you see the text “AVAILABLE FOR PRE-ORDER” … just ignore that! These ornaments just arrived and ARE available for immediate shipment. Thinking Halloween? Thomas Glenn Holidays has several stunning new designs for autumn holidays … take a look! Click on the graphic above or here. Want to stay in touch as the holiday rush begins? Simply enter your email address under the “JOIN OUR MAILING LIST” header above. We will place you on the mailing list … don’t worry, we won’t fill your email box! Author Connie PorcherPosted on September 22, 2018 September 22, 2018 Categories Celebrate365, christmas, glass ornament, Thomas GlennTags christmas, glass ornament, new designs, Thomas GlennLeave a comment on Thomas Glenn Has Arrived! If you love Rosemary Clooney’s character in the movie, you will want to add this iconic ornament to your holiday tree. 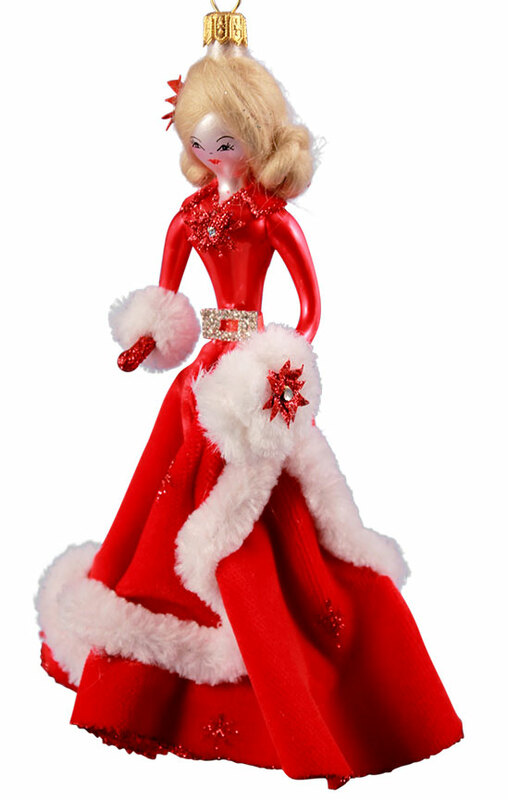 Clad in the classic red gown, this blond singer / dancer wears a vibrant flowing dress embellished with glittered red poinsettias. She has a sparkling rhinestone buckle at her waist. Designer Edith Head created the original costumes for the movie. Only 60 of these ornaments were created for Celebrate365.com for the recent Golden Glow of Christmas Past Convention in Cincinnati, Ohio. Rosemary Clooney was born in northern Kentucky and her career began in Cincinnati. Each ornament is numbered and signed by Rosa De Carlini, daughter of the workshop founder. Two prototype versions are also available. Here’s a great new collection from Thomas Glenn Holidays. It’s perfect for a birthday or just about any gift occasion. What could be more personal than a zodiac ornament? The front features the sign’s symbol and the back names the sign with the calendar dates. Although this collection won’t be in stock until early fall, you can place a pre-order. Pay now and receive complimentary shipping when the ornament arrives. So, what are you waiting for? Click the image above to start shopping!